Yes. South Carolina Statute Section 61-6-4100 provides that ”It is unlawful for a person in this State to manufacture, sell, give, or have in his possession a distillery, commonly called a still, or any integral part of a distillery, or an apparatus, appliance, device, or substitute therefor to be used for the purpose of manufacturing alcoholic liquors, in violation of the laws of this State. The unexplained possession of any part of a still, apparatus or appliance, or any device or substitute therefor, commonly or generally used for or that is suitable to be used in the manufacture of prohibited alcoholic liquors is prima facie evidence of the violation of this section”. This statute provides that that unexplained possession of a still is ‘prima facie’ evidence, which means that it can be rebutted with evidence that the still is being used to produce something other than alcohol. If that evidence can be presented then the still is not illegal. No. South Carolina Statute Section 61-6-4010 provides that “(A) It is unlawful for a person to: (1) manufacture, store, keep, receive, have in possession, transport, ship, buy, sell, barter, exchange, or deliver alcoholic liquors, except liquors acquired in a lawful manner and except in accordance with the provisions of this title; or (2) accept, receive, or have in possession alcoholic liquors for unlawful use pursuant to the provisions of this title”. What is maximum fine? First offense: Not less than $600;Second Offense: $1,500; Third and subsequent offenses: $3,000. In addition there is a penalty of $20 per container of illegal alcohol. What is maximum jail time? First offense: six months imprisonment; Second Offense: one year imprisonment; Third and subsequent offenses: two years imprisonment. What is maximum fine? First offense: Not less than $600; Second Offense: $1,500; Third and subsequent offenses: $3,000. In addition there is a penalty of $20 per container of illegal alcohol. Can property be seized? Yes, the alcohol can be seized pursuant to South Carolina Statute Section 61-6-2610 among other statutes. South Carolina Statute Section 61-6-4030 and 4300 provides that vehicles, vessels and aircraft used in transporting illegal liquor can be seized. Can additional property be seized? Yes, the alcohol can be seized pursuant to South Carolina Statute Section 61-6-2610 among other statutes. South Carolina Statute Section 61-6-4030 and 4300 provides that vehicles, vessels and aircraft used in transporting illegal liquor can be seized. South Carolina Statute Section 61-6-1120 provides that “ (A) The department may issue a micro distillery license to a person to operate one micro distillery in the State subject to the requirements of this chapter and payment of a biennial micro distillery license fee of five thousand dollars. 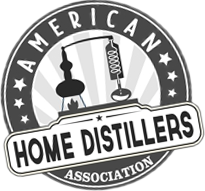 (B) A micro distillery is not required to obtain an additional manufacturing and retail liquor license required pursuant to this title”. The limits of production and sale for a Micro-Distillery is very small. A full Manufacturers License is authorized in South Carolina Statute Section 61-6-1110, which provides that “The department may issue a manufacturer’s license to a person to manufacture alcoholic liquors in the State subject to the requirements of this chapter and a payment of a biennial manufacturer license fee of fifty thousand dollars. Cost of commercial distillery permit? Manufacturer’s License is 50,000 biennial fee plus a $200 filing fee. It is also required to have a $10,000 bond. The Micro-distillery License is $5,000 biennial fee plus a $200 filing fee. It is also required to have a $10,000 bond. Is a fuel alcohol permit available? No. Ethanol and alternative fuel production is allowed and encouraged, but no specific License or Permit is required. Permits that may be required, depending on the location, size and circumstances, include water discharge, wastewater and air quality. There are, however, various proposals being discussed in the alternative fuel area that could result in some type of specific production License of Permit being required at any time.